Michael encourages those who have overcome heart disease to become cardiac athletes. My name is Michael Coyne. I’m the founder of Expedition Outreach, a group of environmentally conscious explorers and athletes who raise money for charity by taking the publicity we receive from our expeditions, races and events and focus it on education and awareness. From broadcasting live from the summit of a previously unclimbed peak in Alaska across the nation on ABC Television, to being the first to wakeboard in the crocodile and piranha infested Amazon River and Sea to kayaking and wreck diving in Newfoundland’s Iceberg Alley, I hold the Guinness Book World Record for the Highest Altitude Luge run in Bolivia and the highest ski board first descent. Through all this, my wife Serenity and I capture the attention and imaginations of our audience to inspire. Several years ago, I had heart failure equivalent to two massive heart attacks that was related to an on the job assault resulting from a traumatic head injury that caused severe sleep apnea. This happened on duty as a Massachusetts State Trooper when a man tried to take my life because of the uniform I was wearing and what a police officer represented to him. As a lifelong athlete, I was devastated. I had to retire young and commit my life to intense cardiac rehab training. What was once “easy and fun” now became a struggle just to breathe. My cardiologist stated that with a clot in my heart and an ejection fraction of only 15, I had roughly five years to live and would never climb to altitude or SCUBA dive again. 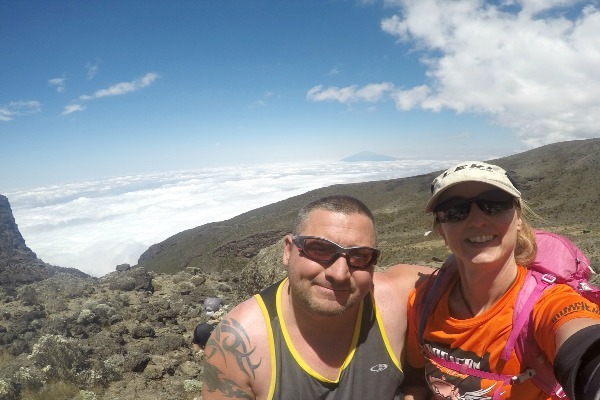 So, my wife, an accomplished triathlete, and I immediately started planning our next expedition to be the first person to climb Mount Kilimanjaro who had experienced heart failure. After only two years of unconventional training, my ejection fraction improved to 46 not normal but something my doctors thought to be unprecedented. Last September I led a team of eight men and women to the summit during our “Wild Heart – No Limits International Kilimanjaro Expedition.” Several of the men in my team were wrestling with their own heart issues. Today, I use my success as a platform to encourage other people who have overcome heart disease to become cardiac athletes and to see how “surviving” is about moving on and can in many ways be the beginning of a new life, as rich and as noble as we had prior. I’m now working on putting the finishing touches on healing my related PTSD as well as planning my next big adventure above the Arctic Circle.